One Eternal Day: "Men must endure their going hence"
November 22, 1963 was the day of my Grandmother Skaggs's funeral. The family was gathered in my parents' house preparing to go to the church when we heard that the President had been shot in Dallas. We learned upon returning from the graveside that he had died. On that same day C.S. Lewis died. Understandably, news of his death was obscured by the assassination. I didn't learn that he had died for some time afterward but if it had not been for the coincidence of date his death would have received a significant amount of news coverage. The actual enduring is borne by those who survive. 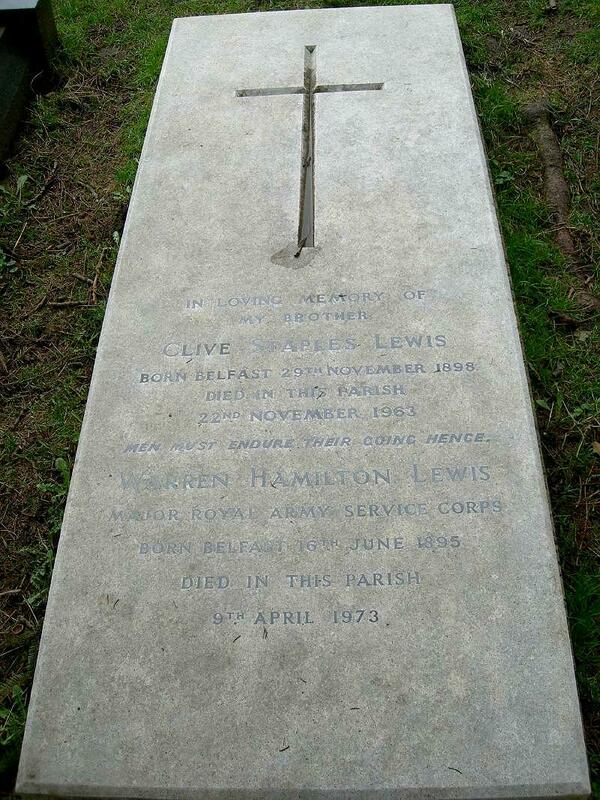 Lewis was responsible for some of the most attractive imaginings of the experience of Christians after physical death. This is the anniversary of the death of C.S. 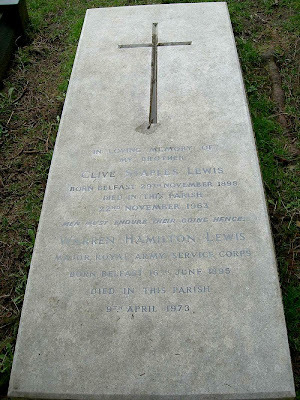 Lewis, 1898-1963. This is a very insightful post. I would love to read more about it. Are you implying that by having this epitaph on his gravestone, his brother was suggesting that we must endure life without C.S.Lewis? No, Lewis's brother, W.H. Lewis (Warnie), was quoting Shakespeare: "“Men must endure, their going hence even as their coming hither. Ripeness is all.” Each of us must endure the passing of those we love.